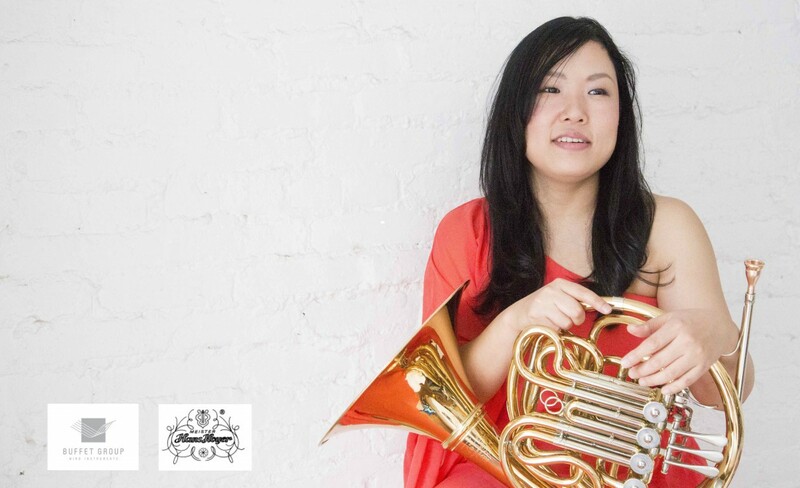 Yuko Yamamura is a Jazz and Classical French hornist, composer, and arranger. She was born in Kobe, Japan, and started her musical studies as a singer at the age of seven. She graduated from the Osaka College of Music in 1998, where she studied Classical music with Hiroko Fushimi and Shigekazu Ikeda, and wind ensemble arranging with Toru Takahashi. She also studied jazz – particularly improvisation with Hiroshi Munekiyo – at the Arrow Jazz Orchestra Music School. For several years starting in 2001, she taught at the Yamaha School for Wind Orchestra. It was then that she led her own jazz quintet, and enjoyed performances at Kobe and Osaka, which culminated in a CD, which was recorded at XEBEC Music Production Studios. She came to the United States, ultimately graduating from the Berklee College of Music as a professional music major, studying both jazz French horn and composition. While there, she studied jazz improvisation with Tiger Okoshi, Christine Fawson, and Jeff Galindo. She has worked with Jay Rodriguez, Victor Jones, David Berkman, Eddie Allen, Hector Martignon, Corcoran Holt, Gerard Angel, Sweet Plantain Strings Quartet, and more. She is a Best song winner of the American Songwriting Awards 2014 in Jazz category, also her songs chosen as nominees and Finalist. And she is a Grand prize winner of the John Lennon Songwriting Contest 2012 session-1 Jazz category. Her composition was selected by in-flight airplay of Virgin America airline for summer 2012. Also her group was held in Manhattan, NY Best of 2011 award-winning talent at the “Japan Art MATSURI (Japan Art Festival)” . She continues to perform and compose in a wide variety of styles (classical, jazz, rock, funk, experimental, free, etc. ).